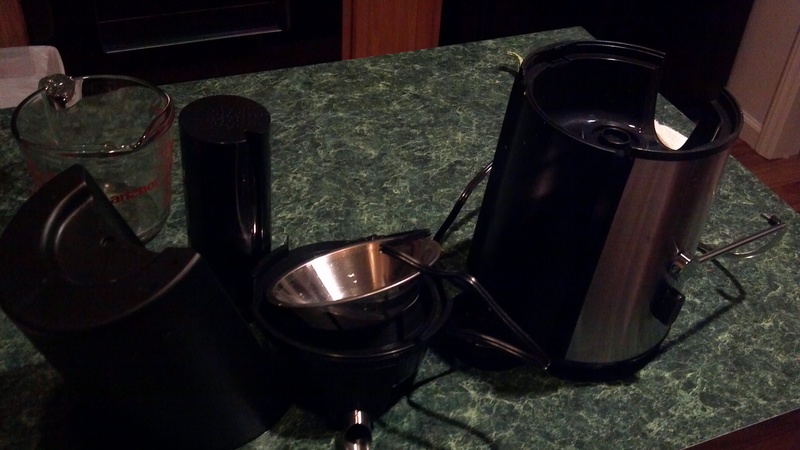 Last week I wrote a post about juicing. Since then, I’ve been making juice every few days in the vitamix and straining it. I was content with continuing to do this mainly because I’m cheap. Over the weekend Nathan was mulling through sales online, and asked me if I was still interested in a juicer. I said I definitely was, but that I couldn’t justify the expense. 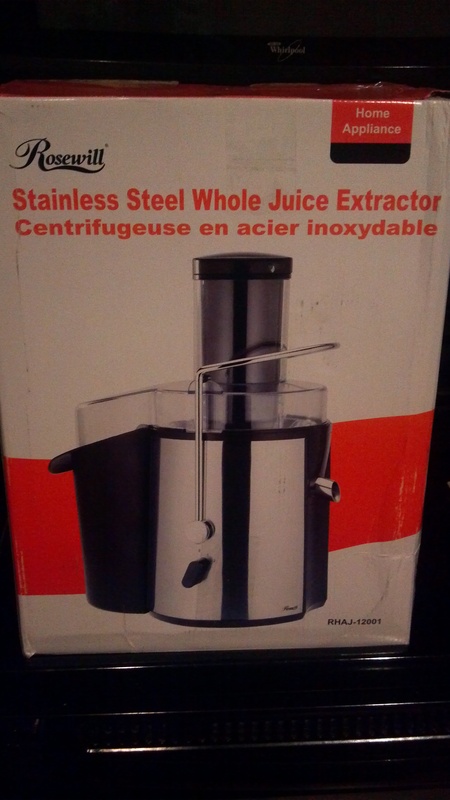 Then he proceeded to show me a knock off brand juicer (Rosewill RHAJ – 12001) he had found on mega sale ($30 dollars). I figured we may as well give it a shot! The juicer came yesterday. But I did not get home from work until well after 9pm, and as hard as it was to wait, I waited until tonight to try it out. And, as far as initial impressions go, I am seriously impressed. 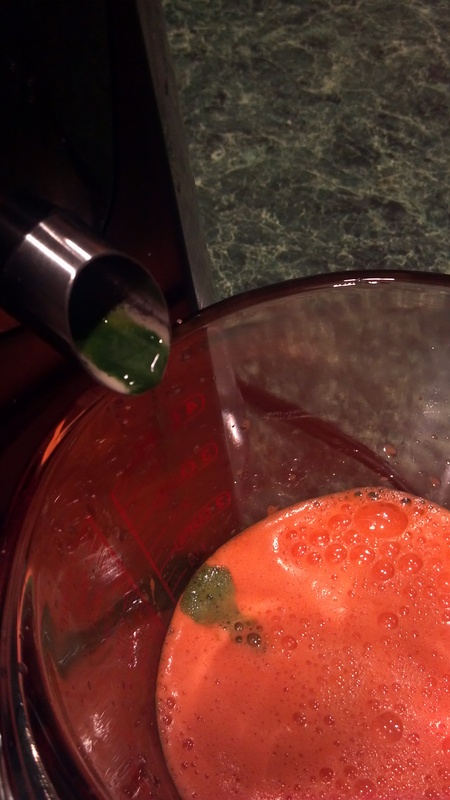 Tonight I juiced: one large carrot (man carrots make a LOT of juice! ), an apple, two oranges and about 8 stalks of kale. I sort of kept putting stuff down in it…because it was super fun to see how much juice came out! I yielded a little under two cups tonight. The pulp in the pulp container was damp, but when I squeezed it, it didn’t yield any liquid. For kicks, I put a huge handful of it back into the juicer, and it yielded maybe a drop of juice. Clean up was also a breeze…I just rinsed all the parts, and laid them out to dry. Easy-peasy. So, needless to say, on the first try, and for $30 dollars, I really like it. I drank a few sips of the juice tonight, but put the rest into a container for tomorrow’s snack. I’ll be sharing more juice creations as well as more info about the juicer soon! Want to learn more about juicing in general? Read this post! Have you made juice? What’s your favorite combinations? 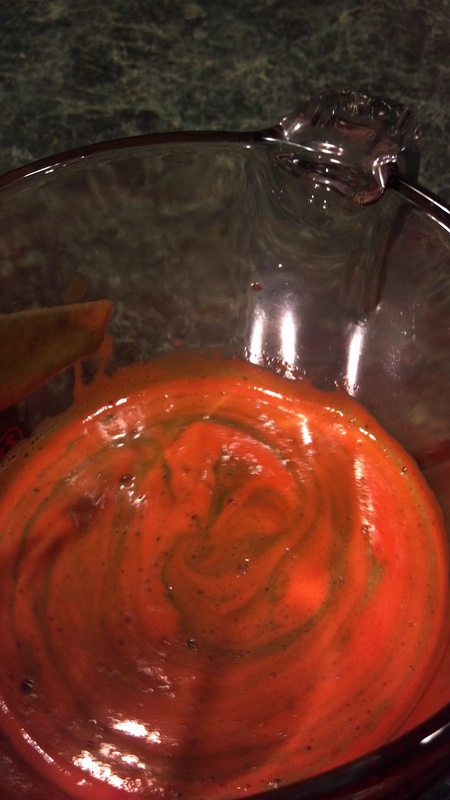 Pingback: Strawberry Orange Sunshine [Juice Recipe] | Make them whole foods. Make them delicious. And make sure you feel great eating them.